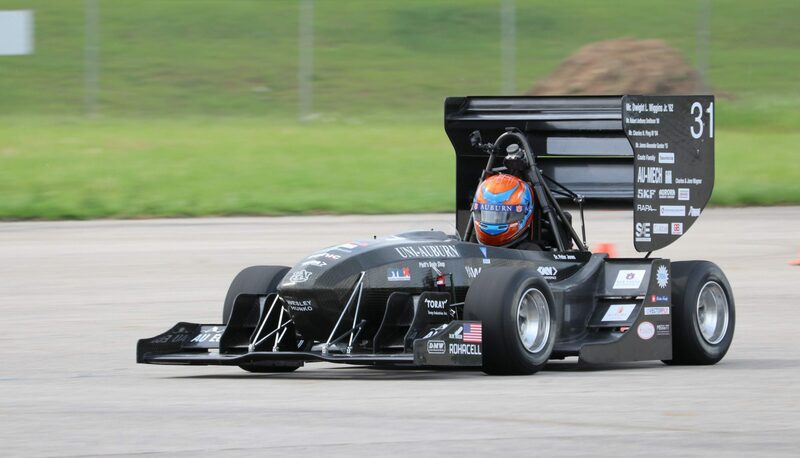 Our 2015 Chief Chassis Engineer, Jordan French, graduated in December with a degree in Mechanical Engineering and will be attending graduate school for a PhD at University of Utah this Fall. Our 2015 Chief Powertrain Engineer, Jimmy Gordon, graduated in May with a degree in Mechanical Engineering, and accepted a position at SpaceX as a Ground Support Equipment Engineer in McGregor, Texas. Our 2015 Marketing Director, Cheyenne Johnson, will be graduating in August with a Psychology degree and is currently seeking employment in Los Angeles, possibly with an engineering company. The 2016 team will transition back to a team captain structure for the next year. The Germany competition is fairly late in the year compared to the US competitions, so design for AU-2016 has started and will continue after FSG. Testing has been a major priority the past few weeks, and it will continue through Friday. Over the weekend, we will be assembling our crate and packing all of the necessities for competition. Tuesday morning the crate will be picked up & we will be united when we land in Germany. For daily updates on AU-2015, please visit our Facebook page. If you are interested in a partnership with our team, please follow these steps! If you have any other questions or concerns, please do not hesitate to contact us (aufsae@gmail.com)! 1. Here you can specify the amount and whether or not you would like to donate once or set up a Perpetual Gift. 2. 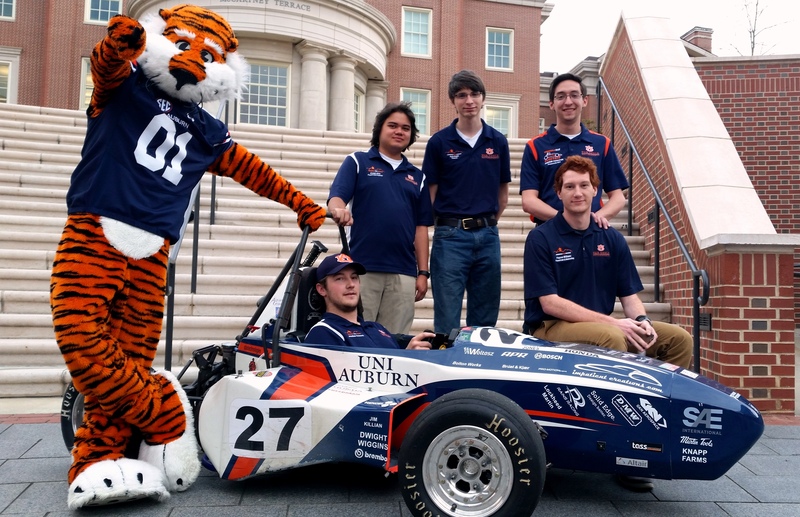 Our team, “War Eagle Motorsports”, is already selected and filled out! 3. All you need to do is fill out the necessary Donor Information and your contact information. 4. Once you’ve completed that, click the “Next Step” and complete your payment information. 5. Now you’re all set to submit your donation! 6. You will receive a Gift Summary (receipt) shortly after your submission. 7. Thank you so much for your consideration and your willingness to support. Your donation will accelerate the education of students on our team. Each and every cent count – it all adds up in the end. Thank You and WAR EAGLE!